Photo courtesy of Sompop S.
“Big mistake… huge.” Who can forget the famous flick that made Julia Roberts a star when her character gets denied shopping privileges in a snooty boutique in Beverly Hills? Stop by the Boulmiche Boutique’s new location (325 N. Beverly Blvd.) to purchase your own trendy fashions and accessories ala Pretty Woman. One of the most famous cities in the US for shopping, dining, and an amazing display of wealth and style. 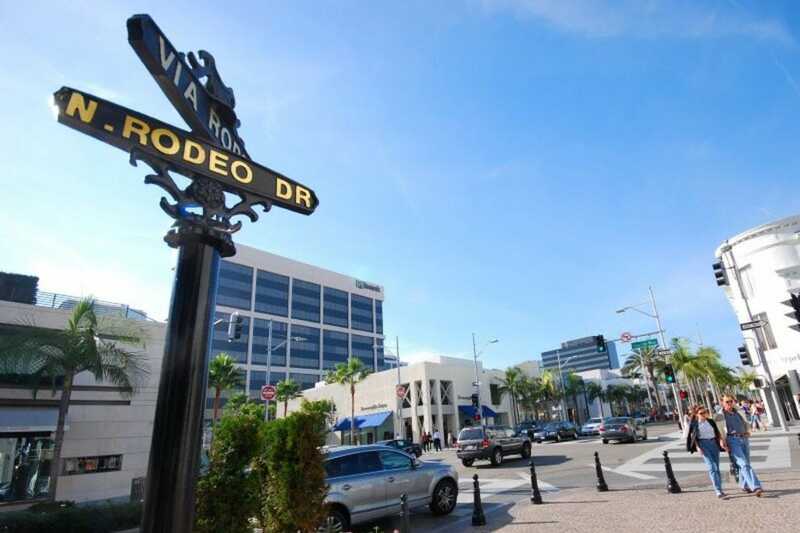 The area boasts some of the most ultimate sightseeing stops, including Rodeo Drive. Keeping your eyes peeled for a Kardashian while window-shopping Gucci, Prada, D&G, Valentino, Armani, and Cartier is de rigueur in this part of town. Check out new industry power lunch hot spot bistro Porta Via (424 N. Canon Dr.) for the delicious chopped organic beet salad or satisfy a carnivorous burger craving served alongside homemade potato chips. Sip on your favorite fresh-squeezed juice with unique fruit and veggie choices like watermelon, celery and ginger. Looking for something a little bit stronger? Order from the extensive selection of red and white wines guaranteed to enhance the flavors and ingredients of any dish on the menu. Start the day off right by indulging in a healthy breakfast/brunch at Le Pain Quotidien (9630 S. Santa Monica Blvd.). Sourcing as many organic ingredients as possible, Le Pain Quotidien prides itself on green business practices like efficient lighting, recycled wood for construction and environmentally friendly packaging and cleaning products. Favorite menu items include the Toasted Paris Ham and Gruyere Croissant, Quiche Lorraine, and Prosciutto and Mozzarella Tartine. Wash it down with a fresh cup of herbal mint tea, whole mint leaves delivering an aromatic buzz to fuel your shopping extravaganza. As the sun sets and stores close up for the night, stop by Nic’s Martini Lounge (453 N. Canon Dr.) for a much-deserved Hollywood-themed specialty martini like acai-infused Absolut Tropical Thunder or south of the border Silverrano. Don a faux fur coat and hat (black or leopard) and step into the VODKABOX, a walk-in exhibitionist freezer where guests can enjoy vodka in its purest form. Famished? Taste scrumptious menu items like oysters on the half shell, hoisin marinated skirt steak, and grilled octopus. Celebrate Happy Hour with $7 Special-tinis, Wine Du Jour and food all day on Mondays and 5-7pm all other nights. Old school Hollywood glam meets contemporary luxury in the world reknowned Beverly Hills Hilton Hotel (9876 Wilshire Blvd.). Upscale amenities include plasma screen televisons, Bose sounds systems, L'Occitane toiletries, and lovely European linens. CIRCA 55 provides casual dining perfect for the entire family and a swanky champagne brunch on Sundays. Dine at award-winning Trader Vic's Lounge, a Polynesian restaurant and bar, famous for introducing the Mai Tai drink to the masses. Shop ‘til you drop or the credit card maxes out, whichever comes first, as you stroll up and down the perfectly manicured palm tree-lined streets of Rodeo Drive and Beverly Boulevard.Embrace European cool and Parisian charm walking the brick laid path studded by old-fashioned street lamps at Two Rodeo aka Via Rodeo. This unique shopping district glitters with glamour, peruse popular stores like Versace, Tiffany & Co., Jimmy Choo, and Baracci. Featured in shows like Entourage, E!, and Stuck On You, Via Rodeo exudes a star quality matching its A-list clientele.